For other uses, see Manchester Airport (disambiguation). "MAN Airport" redirects here. For the airport in Man, Côte d'Ivoire, see Man Airport. 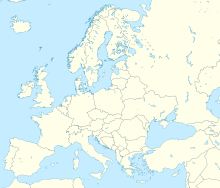 Manchester Airport (IATA: MAN, ICAO: EGCC) is an international airport at Ringway, Greater Manchester, England, 7.5 nautical miles (13.9 km; 8.6 mi) south-west of Manchester city centre. In 2016, it was the third busiest airport in the United Kingdom in terms of passenger numbers and the busiest outside London. The airport comprises three passenger terminals and a goods terminal, and is the only airport in the UK other than Heathrow Airport to operate two runways over 3,280 yd (2,999 m) in length. Manchester Airport covers an area of 560 hectares (1,400 acres) and has flights to 199 destinations, placing the airport thirteenth globally for total destinations served. Officially opened on 25 June 1938, it was initially known as Ringway Airport which is why it is still commonly referred to as "Ringway" to this day. In the Second World War, as RAF Ringway, it was a base for the Royal Air Force. The airport is owned and managed by the Manchester Airports Group (MAG), a holding company owned by the Australian finance house IFM Investors and the ten metropolitan borough councils of Greater Manchester, with Manchester City Council owning the largest stake. Ringway, after which the airport was named, is a village with a few buildings and church at the southern edge of the airport. Future developments include the £800 million Manchester Airport City logistics, manufacturing, office and hotel space next to the airport. Ongoing and future transport improvements include the £290 million Eastern Link relief road, due to open in summer 2019. A High Speed 2 station known as Manchester Interchange, is earmarked for opening in 2033, and will directly connect the airport to Central London in under an hour and create a regular sub-10 minute shuttle service for connecting rail passengers from central Manchester to the Airport - relieving stress on the Styal Line to the Airport from Manchester which has become one of the most congested routes on the National Rail network. After the airport handled a record 27.8 million passengers in 2017, the Airport is currently undergoing a major expansion programme to double the size of Terminal 2, with the first phase due to open in spring 2019. The £1 billion expansion will be completed in 2024 and enable the Terminal 2 to handle 35 million passengers. Capacity exists for up to 50 million passengers annually with two runways, however this potential figure is limited by the airport's restriction to 61 aircraft movements per hour as well as existing terminal sizes to effectively process arrivals and departures. Construction started on Ringway on 28 November 1935 and opened partly in June 1937 and completely on 25 June 1938, in Ringway parish, north of Wilmslow. [citation needed] Its northern border was Yewtree Lane between Firtree Farm and The Grange, east of the crossroads marked "Ringway", and its southeast border a little west of Altrincham Road, along the lane from Oversleyford running northeast then east into Styal. During the Second World War, it was the Royal Air Force's base RAF Ringway and was important in military aircraft production and training parachutists. After the Second World War, the base reverted to a civilian airport and gradually expanded to its present size. Historically, Manchester Airport was consistently the busiest airport after Heathrow for a number of decades following the war. More recently British Airways have scaled down operations from the Manchester Airport with the sale of their BA Connect subsidiary to Flybe; and the ending of their franchise agreement with GB Airways a business subsequently sold to Easyjet. In October 2008 the daily New York–JFK service was also terminated and in March 2013, the frequent service to London–Gatwick was terminated as well. This leaves a BA Shuttle serving London Heathrow. American Airlines operations remain in Terminal 3 with daily flights to Philadelphia, but has terminated services to New York, Chicago, and Charlotte, North Carolina. Since taking over BA Connect's select routes, Flybe has gone on to add several more destinations. In 2012, Flybe introduced the "mini hub" concept co-ordinating the arrival and departure times of various domestic services throughout the day and thereby creating combinations such as Norwich-Manchester-Belfast, Glasgow-Manchester-Southampton or even Edinburgh-Manchester-Exeter and others to be accomplished in each direction with conveniently short transfer times. In 2013 Virgin Atlantic introduced its 'Little Red' short-haul brand to take-up some of the available Heathrow and Gatwick slots. Manchester was the inaugural destination, with services were operated by aircraft 'wet-leased' from Aer Lingus. However, these services ceased in March 2015 due to low popularity. As of October 2017 there is a second London route by Flybe to London-Southend operating up to thrice daily. Area A is a triangle of land between the A538 road and Runway 1 and the cargo terminal which is currently under development to be available for summer 2016. It will be used together with Area E, a triangle of land west of the A538 up to the M56, with its west corner opposite Warburton Green, for the expansion of aircraft maintenance and cargo terminal areas. Clough area to be enhanced with mitigation measures that will become part of the extensive Landscape Habitat Management Area. The A538 alignment to be retained and capacity added as required by increased traffic volumes. Area C consists of several areas of land mainly inside the M56 / M56 spur junction, around Hasty Lane east of M56 and around the current M56 spur. The land will be used for hotels and office space as well as the construction of new car parking facilities and taxiways for aircraft. Manchester Airport has three passenger terminals (Terminals 1, 2 and 3). Terminals 1 and 2 are linked by the skylink, with travelators to aid passengers with the 10–15-minute walk. Terminal 3 is linked to Terminal 1 and the skylink by a covered walkway. The "skylink" also connects the terminals to the airport railway station complex (known as "The Station") and the Radisson BLU Hotel. The Skylink started construction in 1996 and opened 1997. Terminal 1 is used by airlines with scheduled and charter operations, flying to European and other worldwide destinations. It is the largest terminal at the airport. It was opened in 1962, by Prince Philip, the Duke of Edinburgh, and it is a base for EasyJet, Jet2 and Thomas Cook. Some other airlines that fly out of Terminal 1 include Aer Lingus, Air Transat, Brussels Airlines, Emirates, Etihad Airways, Lufthansa, Scandinavian Airlines, Swiss, TAP Portugal and Turkish Airlines. Terminal 1 is spread over an area of 110,000 m2 (1,200,000 sq ft). The terminal has 2 Piers of which combined have 29 stands, of which 15 have air bridges and is the largest of the three terminals. Gate 12 was specially adapted to accommodate the Airbus A380 which is operated by Emirates on their route three times per day from Dubai to Manchester. Terminal 1's current capacity is around 11 million passengers a year, compared with an annual capacity of 2.5 million passengers when it first opened. In the Summer of 2009, a £50 million redevelopment programme for Terminal 1 was completed, which included a new £14 million 14-lane security area. Passenger flow on Terminal 1's gating piers is due to be realigned, with plans to redesign the piers so departures and arrivals do not contraflow on the same level, allowing larger seating areas at the gates, express retail outlets and a dedicated lounge and gating area for future Airbus A380 flights. Currently, Gate 12, Pier B has been upgraded to accommodate the A380, the only gate at the airport that can handle this aircraft so far. An early phase of this has seen the removal of the South Bay remote aircraft stands, constructed in 1962 between taxiways Juliet and Kilo and as a result more recently re-aligning taxiway Juliet into an extended taxiway Bravo. Terminal 2 is spread over an area of 52,000 m2 (560,000 sq ft).Terminal 2 has 16 gates, of which 9 have air bridges. The design of the terminal makes it capable of extensive expansion; building work has begun for an extension providing additional gates, together with the construction of a satellite pier. Terminal 2's current capacity is around 8 million passengers a year, this will be extended to ultimately handle 25 million passengers a year. In 2007, an £11 million project commenced to redevelop Terminal 2 by improving security facilities and enhancing retail and catering services. Terminal 3 was opened in 1989 by Diana, Princess of Wales as 'Terminal A' and had many names before final re-designation as Terminal 3 in May 1998. The terminal was known in succession as "Terminal A"; "Terminal A – Domestic"; "Terminal 1A" after Terminal 2 opened in 1993; "Terminal 1A – British Airways and Domestic"; "Terminal 3 – British Airways and Domestic" before becoming simply known as Terminal 3. In June 1998, British Airways opened their new £75 million terminal facility designed by Grimshaw Architects, this being a major extension to Terminal 3 and became the primary user of the terminal along with codeshare partner airlines (Oneworld Alliance). Terminal 3 now spreads over an area of 44,400 m2 (478,000 sq ft). Passenger numbers at Manchester reached a record total of 27.7 million in 2017, a 9% annual increase. Manchester Airport is the home to the engineering bases of Thomas Cook Airlines and Jet2.com. Airlines such as Etihad Airways also have one of six maintenance bases worldwide in Manchester with their newly opened line maintenance facility. Manchester Airport has a World Freight Terminal, serving cargo-only freighter services and cargo carried on regular passenger flights. It was opened in 1986, west of the original airfield. There is 5,500,000 sq ft (510,000 m2) of warehouse and office space on site, including a chiller unit for frozen products and a border inspection post. There are three aircraft maintenance hangars, with five transit sheds, operated by British Airways Regional Cargo, Swissport Cargo, Menzies World Cargo, Plane Handling and Servisair. There are over 100 freight forwarding companies on site. Freight throughput at the airport grew from 94,000 tonnes in 1997 to the peak at 165,000 tonnes in 2007, but then declined to around 93,000 tonnes in 2013, subsequently increasing to over 109,000 tonnes in 2016 making Manchester the fourth-busiest UK airport for freight behind London Heathrow, East Midlands, and London Stansted airports. The A538 road runs beneath both runways via two separate tunnels. Part of the road is exposed between both runways. The new control tower, opened in June 2013, with a Thomson Airways Boeing 787 Dreamliner taxiing in at the end of its delivery flight. Manchester Airport has two parallel runways. Runway 1 (23R/05L) 3,048 m × 45 m (10,000 ft × 148 ft) and Runway 2 (23L/05R) 3,200 m × 45 m (10,499 ft × 148 ft). The parallel runways lie 390 m (1,280 ft) apart and staggered by 1,850 m (6,070 ft) so that landings can be conducted independently on one runway whilst takeoffs are conducted on the other. The original main runway, then designated 06/24 and initially 3,300 ft (1,006 m) in length, opened on 17 May 1937 when the airport was used as an RAF base and a military aircraft assembly centre. It was extended in stages from 1952, reaching its current length in 1981 to attract long-haul international traffic. As demand and aircraft movements both increased during the mid-1990s, mainly due to the newly completed Terminal 2, the airport studied the option of a second full-length runway. A consultation process began and planning permission was approved in 1997, with construction work starting the same year. Most aircraft arriving into Manchester Airport use the Instrument Landing System, which in line with most other airports has a glide slope of 3 degrees equal to descending 318 feet per nautical mile. The prevailing wind direction is westerly, so normally aircraft fly from northeast to southwest. In practice this means that normally aircraft land from the northeast over Stockport, Cheadle and Heald Green and takeoff towards Knutsford. In dual runway operations aircraft will usually land on to Runway 1 (23R) and depart from Runway 2 (23L). When the wind direction changes, usually affecting 20% of movements per annum, operations are reversed with aircraft landing from the southwest, lining up to the south over Northwich and over Knutsford and taking off towards Stockport. In dual runway operations aircraft will usually land on to Runway 2 (05R) and depart from Runway 1 (05L). Sometimes, aircraft arriving into Manchester Airport are held in stacks, usually in poor weather when the movement rate decreases. The airport has 3 stacks: DAYNE, MIRSI and ROSUN, each located approximately 15/20 miles from the airport. DAYNE serves arrivals from the south, ROSUN from the north and east and MIRSI from the west. If you live within 20 miles of the airport, you will likely see and hear aircraft. Manchester Airport is policed by the Greater Manchester Police and Manchester Airport Fire Service. Several security-related incidents have occurred at the airport in recent years. On 6 June 2006, Aabid Hussain Khan, 21, of West Yorkshire and a 16-year-old boy were arrested at the airport and later charged under Section 57 of the Terrorism Act, for conspiracy to murder and conspiracy to cause public nuisance by using poisons or explosives. On 24 July 2012, an 11-year-old boy went straight through security and managed to board the nearest boarding flight from security in T1, which was a Jet2 flight to Rome. Halfway through the flight one passenger reported him to the cabin crew, who then detained the boy at Rome and put him on the next flight back to Manchester. Manchester Airport railway station, opened in May 1993, is between Terminals 1 and 2. It is linked to the terminals by a Skylink moving walkway. Trains operated by Northern, TransPennine Express and Transport for Wales connect the airport to Manchester Piccadilly and other railway stations, mainly throughout northern England, including Crewe, Wigan and Southport, as well as Edinburgh and Glasgow in Scotland and Holyhead and Llandudno in Wales. A third rail platform was completed in 2008 to allow for an increase in rail capacity. In 2009, Network Rail stated that the third platform meant that capacity will become constrained by the layover of the trains and recommended building a line underneath the Airport towards Northwich by 2024. In January 2013, the Government announced that a Manchester Airport station on the North side of the M56 will be included in Phase 2 of High Speed 2 which will provide links with other British cities like Birmingham and London and also a quicker route into Central Manchester. [citation needed] Work on building a new fourth platform at the existing railway station commenced in early 2014 with a blockade required in February 2015 to allow completion. Construction finished in May 2015 and the platform opened to passengers in autumn 2015. A Metrolink service from Cornbrook station to the Airport opened in November 2014 and runs at 12-minute frequency. Journeys along the 15-stop line between Cornbrook take approximately 35 minutes. The Manchester Metrolink light rail system has had plans to extend to the airport for many years. When the idea of a congestion charge was mooted, part of the scheme was to have extended the Metrolink to the airport. However, when this was rejected the future of the scheme was in doubt. In 2009, it was announced that the line to the airport would finally be built. The airport line is one spur of the line from St Werburgh's Road, to East Didsbury and Manchester Airport, which opened on 3 November 2014 – 18 months ahead of schedule. As of January 2018, Metrolink services from the Airport operate to Manchester Victoria via Market Street. The Station is the airport's ground transport interchange and brings bus, coach and rail passengers under one roof. Over 300 trains, 100 coaches and 500 buses a day use the facility, including the 24-hour bus service 43, which runs every 10 minutes (every 30 minutes at night) to Manchester city centre via Wythenshawe, Northenden, Withington, Fallowfield and Rusholme. There is also Skyline service 199 operating every 30 minutes to Buxton via Stockport, Disley and Chapel-en-le-Frith, as well as a number of Stagecoach Manchester and Arriva North West services to Stockport, Altrincham and various parts of South Manchester. A network of National Express coach services serve Manchester Airport and operate to destinations further afield, including as far as Dublin. The airport is a 20-minute drive from Manchester city centre and is reached by the M56 motorway, with a dedicated approach road from the motorway at junction 5. The M56 is the main route used by traffic to reach the airport. There are also minor local roads serving the airport from the north (Wythenshawe) and the east (Heald Green). The M56/A538 road junction serves the World Freight Terminal, to the west of the airport. The A538 runs east-west serving the local towns of Altrincham and Wilmslow. Proposed as part of the SEMMMS (South East Manchester Multi-Modal Strategy) Relief Road Scheme, a new link road to the A6 south of Stockport opened in 2018. Planning permission had been granted, with inquiries for Compulsory Purchase and Side Roads Orders following up in September 2014. After significant delays, the link road opened on 15 October 2018. The airport's official short-stay car parking can be found in the multi-storey car parks adjacent to Terminals 1, 2 and 3. In July 2007 the airport introduced a 'No Waiting' restriction on all access roads surrounding the terminals. [citation needed] As of June 2018, the public are required to pay charges of £3 for five minutes on the terminal forecourt or £4 for the maximum ten minutes in order to drop off passengers. The charges have been highly controversial; local taxi drivers have described them as a "cash cow" for the airport, and were described by a judge for Minshull Street crown court as "extraordinary" and "an absolute disgrace" after he gave a psychology teacher a suspended sentence for deliberately driving into a parking official in an act of road rage over the charges. Official long-stay on-airport parking from Manchester Airport is located near the terminals and served by a regular courtesy bus. There is one long-stay car park serving Terminals 1 and 3 and a separate dedicated long-stay car park for Terminal 2. In 2009 the airport opened JetParks – two long-stay car parks less than a mile from the terminals. This is a cheaper alternative to the on-site car parks and is served by a 24-hour shuttle bus every 15 minutes. The airport also operates a Shuttle Park for long-stay car parking, which is also served by a regular courtesy bus and is located just off the airport site to the east of Terminal 3. The airport has since augmented these products with a 3rd JetParks car park, JetParks 3. This is located adjacent to Shuttle Parks and as a result, Shuttle Parks was renamed JetParks Plus. Manchester Airport also operates a very large scale valet parking product across all 3 terminals that it has branded as "Meet & Greet". Up until 2018 cars dropping off passengers could do so outside terminals for free. On 10th July 2018 Manchester Airport took the step of introducing a fee of £3 to £4 for vehicles dropping off passengers at terminals. Alternatively, passengers being dropped off can be taken to an off-site car park from where a shuttle bus operates to the terminals. The airport issues fines of up to £100 to vehicles which breach its' terms and conditions for the drop off zones. The changes have been seen as unwelcome and nonconstructive by passengers and taxi drivers, with some saying they will boycott the airport. The change has also attracted criticism from local Councillors in Cheshire, who point out that many places directly under Manchester Airport's flight paths don't have a direct public transport link to the airport. While some other UK airports also have drop off charges Manchester Airport's charges are overall higher than those at any other airport. Between 1997 and 1999 three protest camps were set up to oppose the building of the second runway, the felling of nearby trees on land owned by the National Trust in Styal, Cheshire and air transportation in general. Camps were set up in Flywood, Arthur's Wood and Cedar's Wood. Swampy, a well known activist, was among many protesters. The south west end of the new runway is closer to the town of Knutsford and to the village of Mobberley. There has been an increase in noise experienced by local residents from the aircraft being lower and closer. In 2007 Manchester Airport applied to build on land in Styal to increase its car parking. However, the former Macclesfield Borough Council refused to give them planning permission to do so and expressed annoyance at the airport for not investing enough in public transport. On 27 March 1951, a Douglas C-47A-75-DL Dakota 3 cargo aircraft operated by Air Transport Charter and en route to Nutts Corner Airport, Antrim, Northern Ireland, crashed at Heyhead shortly after take-off from runway 06, following the aircraft's failure to gain height. There were four fatalities – two of the three crew on board and two of the three passengers. The subsequent investigation found that the crash resulted from a loss of engine power, caused by ice forming in the carburettor intakes, attributable to the captain's failure to use the heat controls. An extended undercarriage and snow on the wings may have also been contributory factors. On 14 March 1957, British European Airways Flight "Bealine 411" operated by Vickers Viscount 701 (registration G-ALWE) inbound from Amsterdam crashed into houses in Shadow Moss Road, Woodhouse Park. The aircraft was on final approach to Runway 24 at Manchester Airport and the crash was due to a flap failure, caused by fatigue of a wing bolt. All 20 occupants on board died, as did two on the ground. On 29 April 1957, a Miles Aerovan Type 4 crashed on take off due to fuel pump failure. 2 on board were killed including the pilot. On 4 June 1967 – Stockport Air Disaster – British Midland Airways Canadair C-4 Argonaut (registration G-ALHG) was inbound from Palma and crashed near the centre of Stockport after loss of engine power due to fuel problems and an aborted approach to Manchester Airport, with 72 fatalities. On 20 March 1969, Vickers Viscount G-AVJA of British Midland Airways crashed on take-off. Three of the four people on board were killed. On 22 August 1985 – British Airtours Flight 28M – an engine failed during take-off from runway 24, the fire spreading into the cabin, resulting in 55 fatalities (mostly from smoke inhalation) aboard the Boeing 737–236 Advanced G-BGJL. The uncontained engine failure was later traced to an incorrectly repaired combustor causing the turbine disc to shatter and puncture the wing fuel tanks. As a result, fire resistance and evacuation procedures were improved. ex-British European Airways Hawker Siddeley Trident 3B preserved at the Aviation Viewing Park. Delivered new in 1971, G-AWZK flew for BEA and British Airways, retiring in 1985. Manchester Airport has had public viewing areas since the airport opened to the public in 1938. The 1960/1970s pier-top viewing facilities have been closed because of security concerns. In May 1992, an official "Aviation Viewing Park" (AVP) was created just off the A538 road on the south-western side of the airfield. This was moved to the western side of the airfield in May 1997 to allow construction of the second runway. Renamed the "Runway Visitor Park" in June 2010, the facility is regarded as providing the best official viewing facilities for aircraft spotting at any major UK airport by aircraft enthusiasts. Visitors can view aircraft taking off and landing from both runways and aircraft taxiing to and from the runways. This attraction now draws around 300,000 visitors a year and is one of Greater Manchester's top 10 attractions. G-BOAC, a retired British Airways Concorde, once the flagship of the airline's seven-strong Concorde fleet. The project to build a hangar for the jet was delayed due to the discovery of protected Great Crested Newts on the site, which the airport is under obligation to rehouse at their own expense. The aircraft was moved into the hangar on 13 January 2009. The last airliner to be built in the UK, BAE Systems Avro RJX G-IRJX. The forward fuselage of Monarch Airlines Douglas DC-10 G-DMCA, which was retired in 2002. One of only two preserved Hawker Siddeley Trident 3B aircraft, G-AWZK in full BEA livery. A former RAF Hawker Siddeley Nimrod aircraft. The aircraft was moved into place in April 2010. Level 13 of the short-stay car park at Terminal 1 has another viewing location, popular with spotters for the last 32 years. As part of a recent refurbishment, the café and aviation shop which were once part of the viewing area have now been closed, with the aviation shop moving to the Terminal 1 arrivals area. The level (13) is now used as a car park for rental cars. The building that once housed the café and aviation shop is now the reception area/offices for the car rental companies. Spotting is still tolerated on level 13 and it is still a good place to take pictures of aircraft taxiing and parked up at Terminal 1, Terminal 2, the World Freight Terminal and the hangars. Terminal 3 stands are not visible from level 13; they are better viewed from the south side of the airport near Moss Lane. The Airport Hotel is a public house operated by Robinson's Brewery and is on Ringway Road about 0.5 mi (0.80 km) from the airport. Its beer garden overlooks the east end of Taxiway J and the eastern threshold of runway 23R which are only 50 ft (15 m) away and provides good views of east-west landing approaches and some take-off rolls. ^ "Flybe becomes independent carrier to create regional network hub in UK". Archived from the original on 23 July 2015. Retrieved 2 June 2015. ^ a b c "Manchester – EGCC". Nats-uk.ead-it.com. Retrieved 4 April 2010. ^ a b c d e f g h "Aircraft and passenger traffic data from UK airports". UK Civil Aviation Authority. 11 March 2017. Retrieved 11 March 2017. ^ "Live Search Maps". Microsoft. ^ "Manchester Airport is 'ready' for A380 Super Jumbo". BBC News. 19 August 2010. Retrieved 1 September 2010. ^ "Frankfurt with almost 300 destinations and Paris CDG with over 100 airlines lead global analysis of airport operations in S17". anna aero. 15 February 2017. Retrieved 12 March 2017. ^ "Timetable recast: too much, too quickly". Railway Gazette. 4 June 2018. Retrieved 2018-08-13. ^ "One Year on Site". Manchester Airport. 17 August 2018. ^ "Transport Committee Written evidence from Manchester Airports Group (AS 44)". Parliament of the United Kingdom. 19 October 2012. Retrieved 16 August 2013. ^ McKeegan, Alice (18 February 2011). "Video and pictures: Manchester Airport's runway protestors reunited 14 years on". Manchestereveingnews.co.uk. Retrieved 21 September 2018. ^ "Manchester's second runway ready for take-off". Telegraph.co.uk. 12 December 2000. Retrieved 21 September 2018. ^ "AirportWatch - History of the Manchester Airport second runway battle". Airportwatch.org.uk. Retrieved 21 September 2018. ^ "US Airways - Route map". Retrieved 2 June 2015. ^ "US Airways draft summer schedule to Europe out - The Meck Deck". Archived from the original on 12 September 2015. Retrieved 2 June 2015. ^ "Corporate Media News archive". Flybe. 8 March 2012. Archived from the original on 1 July 2012. Retrieved 1 February 2013. ^ "Little Red". Virgin Atlantic. Retrieved 23 January 2016. ^ Craig, Jeananne (2 July 2009). "Manchester airport terminal relaunched after £50m facelift". The Independent. Retrieved 3 April 2016. ^ a b c "masterplan – jan – new" (PDF). Archived from the original (PDF) on 27 March 2009. Retrieved 4 April 2010. ^ "Manchester Airport £50m overhaul complete". UK Airport News. Archived from the original on 21 July 2011. Retrieved 4 July 2009. ^ "Massiver Ausbau: Manchester will besser als Heathrow werden". aerotelegraph.com. 9 June 2015. ^ "Manchester Airport: £1bn plan to 'transform' site launched". BBC News. Retrieved 2 June 2015. ^ "Manchester Airport on Twitter". Twitter. Retrieved 21 September 2018. ^ "Air Arabia Maroc launches Agadir base from Oct 2017". Routesonline.com. ^ "Flights with TUI - Thomson now TUI Airways". Thomson.co.uk. ^ "British Airways adds new London City / Manchester routes in W17". routesonline.com. 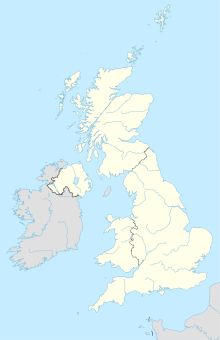 ^ "British Airways Launch New Dublin-Manchester Route". Dublin Airport. 7 December 2017. Retrieved 8 December 2017. ^ "British Airways - LAUNCH OF SEVEN NEW ROUTES FROM MANCHESTER". Mediacentre.britishairways.com. ^ "ADS Advance - BA extends services from Manchester Airport". Adsadvance.co.uk. ^ a b c d e f "New routes from the UK". www.easyjet.com. ^ "El Al proposes Manchester service resumption from late-May 2019". Routesonline. 5 November 2018. ^ "Ethiopian updates planned European changes from Dec 2018". Routesonline.com. Retrieved 21 September 2018. ^ "Cheap Flights & Low Cost Flight Tickets - Flybe UK". Flybe.com. ^ "Flight Timetables - Jet2.com". Jet2.com. Retrieved 21 September 2018. ^ "Jet2.com adds Manchester – La Rochelle link in May 2019". Routesonline.com. Retrieved 21 September 2018. ^ "New Routes 2018 - Loganair". Loganair.co.uk. Retrieved 21 September 2018. ^ a b c d e f g "Ryanair Announces $300m Additional Investment With 3 New Aircraft At Manchester - Ryanair's Corporate Website". Corporate.ryanair.com. ^ "Ryanair in Katowice opens the base at the airport in Pyrzowice and 11 new directions to European cities". dziennikzachodni.pl. 15 March 2019. ^ Godfrey, Kara (22 August 2017). "Thomas Cook relaunch flights to Tunisia - two years after beach terror attack". Express.co.uk. ^ "OAG Flight Tools - Which Airlines fly my route". Flighttools.oag.com. Retrieved 21 September 2018. ^ "Book & Plan". Thomascookairlines.com. ^ "Thomas Cook UK plans Manchester – Montego Bay launch in May 2019". Routesonline.com. Retrieved 21 September 2018. ^ "Thomas Cook to launch new US route from Manchester". Travelmole.com. Retrieved 21 September 2018. ^ "17 new routes, seven new own-brand hotels for Summer 2018 on sale". Thomascookairlinesuk-newsroom.condor.com. ^ a b c "Flight Timetable". tui.co.uk. ^ a b "TUI Airways UK schedules new South East Asia routes in W18". routesonline.com. ^ a b c d e "Ski Holidays 2017/2018 - Get More Winter With Crystal Ski". Crystal Ski. ^ "Virgin Atlantic Adds Manchester - New York Service from May 2017". routesonline.com. ^ "Virgin Atlantic adds Manchester – Los Angeles service from May 2019". Routesonline.com. Retrieved 21 September 2018. ^ "Etihad marks two more Manchester milestones". Etihad Airways. 1 October 2011. Archived from the original on 22 January 2013. Retrieved 11 March 2012. ^ a b "World Freight Terminal". Manchester Airport. Retrieved 1 February 2013. ^ a b c "Fact Sheet: Airport Summary". Manchester Airport. Archived from the original on 11 March 2012. Retrieved 4 April 2010. ^ a b "Knutsford Guardian – Residents wait for airport to pay out". Archive.knutsfordguardian.co.uk. 19 December 2007. Archived from the original on 2 March 2009. Retrieved 4 April 2010. ^ "Airport extends second runway opening hours to cope with demand". Manchester Evening News. Retrieved 14 May 2014. ^ "Manchester Airport's new £20 million control tower is complete". Manchester Airport. 25 June 2013. Archived from the original on 2 April 2017. Retrieved 9 July 2013. ^ "Test exposes airport security lapse". BBC. 9 February 2002. Retrieved 4 November 2007. ^ "BBC finds airport security lapses". BBC. 5 September 2004. Retrieved 4 November 2007. ^ "Man detained after airport alert". BBC News. 23 September 2005. Retrieved 4 November 2007. ^ "Airport arrest man in court on terror charges". The Guardian. London. 15 June 2006. Retrieved 4 November 2007. ^ "Boy, 11, boards plane to Italy at Manchester Airport without passport". BBC News. 25 July 2012. Retrieved 5 September 2012. ^ "Military jet escorts Qatar Airways plane to Manchester Airport". BBC News. Retrieved 2 June 2015. ^ "Connecting local communities" (PDF). Retrieved 1 February 2013. ^ "And then there were 4". Railengineer.uk. ^ "Manchester Airport rail station's fourth platform completed ahead of schedule". Manchestereveningnews.co.uk. ^ "Manchester Airport Metrolink tram line completed early". BBC News. 20 June 2014. Retrieved 6 August 2014. ^ "Airport line". TfGM. Archived from the original on 20 May 2013. Retrieved 6 August 2014. ^ "A6MARR Overview - SEMMMS". Semmms.info. Retrieved 21 September 2018. ^ Butler, Katie (21 March 2018). "Taxi drivers say new airport drop-off charges are a 'cash cow'". Manchester Evening News. Retrieved 21 September 2018. ^ Gibbons, Katie (21 September 2018). "Judge sympathises with teacher who 'lost rag' over Manchester airport charges". The Times. Retrieved 21 September 2018. (Subscription required (help)). ^ "Official website for Manchester Airport, live flight information, car parking & booking flights - Manchester Airport". Retrieved 2 June 2015. ^ "Pick Up & Drop Off Information & Charges - Manchester Airport". Manchester Airport. Retrieved 21 September 2018. ^ "Free Drop-Off Terms and Conditions - Manchester Airport". Manchester Airport. Retrieved 21 September 2018. ^ Cox, Charlotte (13 July 2018). "Drivers claim Manchester Airport drop-off charging is causing MORE gridlock". manchestereveningnews.co.uk. Retrieved 21 September 2018. ^ "Airports now charge up to £4.50 for a 10-min drop-off - how to avoid 'kiss and fly' fees". Moneysavingexpert.com. Retrieved 21 September 2018. ^ "Save Arthurs wood Press statements". Retrieved 31 December 2006. ^ "Victory for green belt campaigners as airport's plan for Styal is rejected". Wilmslow Express. Retrieved 9 November 2007. ^ "AeroTransport Data Bank". Aerotransport.org. 19 December 2011. Retrieved 1 February 2013. ^ "ASN Aircraft accident Douglas C-47A-75-DL Dakota 3 G-AJVZ Manchester-Ringway Airport (MAN)". Aviation-safety.net. Retrieved 4 April 2010. ^ "Accident description". Aviation Safety Network. Retrieved 7 October 2009. ^ "British Air Tours KT28M air crash". Pilotfriend.com. 22 August 1985. Retrieved 4 April 2010. ^ "Service held to mark 1985 Manchester air disaster". BBC News. 22 August 2010. Retrieved 18 November 2015. ^ "Jet disaster survivors meet pilot 25 years on". Manchester Evening News. 23 August 2010. Retrieved 18 February 2012. ^ "Guide to Manchester Airport". Plane Mad. Retrieved 27 April 2012. Out of all UK airports, Manchester is probably the best for viewing and photography with many very good spots. ^ "Lowry Tops Visitor Attraction Figures in Greater Manchester". Manchester Confidential. 29 November 2011. Archived from the original on 17 June 2013. Retrieved 5 September 2012. ^ "Airport newts halt Concorde home". BBC News. 19 September 2008. ^ "RAF Nimrod MR2 XV231". Manchester Airport. 27 April 2012. Archived from the original on 28 December 2011. Retrieved 27 April 2012.